Xlash Eyelash Serum (Updated 2018) - Is this the Right Eyelash Enhancer for you? Every woman wants to have longer and thicker eyelashes. Unfortunately, most women are stuck with thin, short and unremarkable lashes. This is the reason many women turn to false eyelashes and eyelash extensions. The problem with these artificial eyelash enhancement options is that they usually damage the natural lashes causing them to break or fall out. Also, these eyelash enhancement options are only temporary lasting a few weeks so it can get expensive very quickly. There are eyelash enhancers that promote the natural growth of the eyelashes and make them longer and thicker. You just need to find a good product which is effective. To help you choose among the plenty of brands being sold today, let’s take a closer look at one particular product and check if it really works. Xlash (Bimatoprost) claims to be the world’s fastest-acting eyelash growth treatment serum. It is powerful yet gentle on the eyelashes and eyes. It claims to work within a few weeks making the natural eyelashes longer and thicker. In some countries, it can only be obtained with a doctor’s prescription but it is being sold online by some websites without the need for a prescription. It is not an eyelash enhancer and is actually considered medication which is approved by the United States Food and Drug Administration. Xlash (Bimatoprost) is for increasing the length and thickness of the eyelashes. The result from using it is semi-permanent unlike eyelash extensions and false eyelashes. It is an FDA approved treatment which is prescribed by doctors to those who don’t have eyelashes or people who have inadequate eyelashes due to injury or any other reason. The medication is only effective with continued use and once the patient stops using Xlash, the eyelashes usually return to their previous state. What Is Xlash Used For? It is essential for growing the eyelashes or making them longer and thicker. It is commonly prescribed to people who have no eyelashes due to injuries like burns. It can also be prescribed to individuals who have very short or few eyelashes due to medical conditions or from the use of certain medications. The active ingredient of the drug is bimatoprost and the solution contains 0.03% of this topical prodrug. It is often used for controlling the progression of glaucoma and the management of ocular hypertension. It has been shown to reduce intraocular pressure by promoting the outflow of aqueous fluid from the eyes. It was approved for lengthening eyelashes in December 2008 by the United States FDA. It is clinically proven to make the eyelashes longer and thicker. Xlash (Bimatoprost) is a drug approved by the FDA. 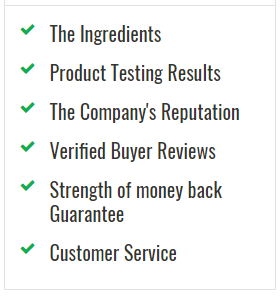 Most reviews and feedback from customers are positive saying it really works. It can only be obtained with a prescription in certain countries like the United States. It can cause several side effects which will be covered in detail later. Some people are allergic to the drug so it is not for everyone. It cannot be used by certain people with medical conditions or those taking a particular medication. How Does Xlash Help to Grow the Eyelashes? This is a very tricky question because although it is approved by the FDA, there is very little information about how bimatoprost works in making the eyelashes longer and thicker. Bimatoprost is a lipid compound that is a structural prostaglandin analog. Its main effect is the binding of prostaglandin receptors. Experts believe that such effect causes the growth process of hair follicles but there is still no clear explanation how it really works. Are There Any Side Effects from Using Xlash? 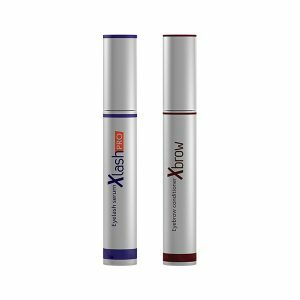 The most common side effect of Xlash is itching and/or redness of the eyes. The symptoms usually disappear after a few days of use. There are also other side effects connected to the drug like darkening of the skin, eye dryness and reddening of the eyelids. As long as the prescribed dosage is followed, the side effects are usually not severe and don’t require any action. However, overdose or highly sensitive individuals may experience dangerous effects like ocular reactions. If this occurs, you need to consult your doctor immediately. To get the best results from using Xlash, follow your physician’s instructions carefully. Use the specialized applicator when applying the formula. Avoid over dosage to prevent severe side effects and do not apply the medication on your lower eyelashes. Xlash (Bimatoprost) is a good eyelash enhancer but it is prescription medication. It is not for everyone since some people experience hypersensitive reactions when using it. Also, it can cause several side effects like skin/eye irritation, unwanted hair growth, dizziness and stinging sensation on the eyes. Ask your doctor if this is a suitable option for you. It is a good eyelash enhancer but in terms of safety, it is not a very good option.